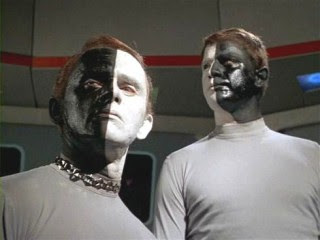 Shelby Cade of Flatland Apologetics has written a great post dealing with skepticism and atheism. 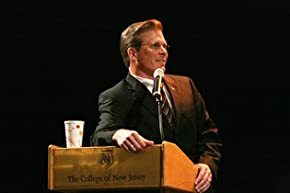 "Atheism and skepticism have nothing to offer when it comes to evidence, but they do have plenty to say contra theism and the Christian worldview. In fact, skeptics can't say anything of note, so why should they be taken seriously? Skepticism is self defeating as a worldview, because the battle cry of skepticism (It is true that we need to be skeptical) espouses nothing more than relativism." I encourage our readers to checkout the post in it's entirety here. I would also encourage you to explore Flatland Apologetics. Those of us who love to read cherish those moments when we are adventuring through a text and a certain passage, quote, or argument jumps off the page and makes us want to shout, "Yes!" Recently, as I have been slowly working through Mike Licona's latest book, The Resurrection of Jesus: A New Historiographical Approach, I had one of those experiences that I wanted to share. 1. Roy Hoover as quoted by Mike Licona, The Resurrection of Jesus: A New Historiographical Approach, p. 58. 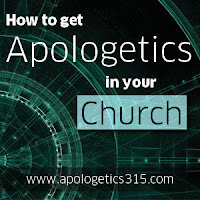 Brian Auten of Apologetics315 has been doing some outstanding interviews with various Christian apologists. 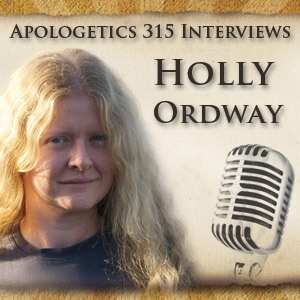 His latest interview, with former atheist Holly Ordway, is of special interest! "Today's interview is with Holly Ordway, professor of English and literature and author of Not God's Type: A Rational Academic Finds a Radical Faith . She talks about her background as an atheist, her encounters with Christians in the past, the influence of literature and poetry, personal influences from others, looking at arguments for the existence of God, counter-arguments against God, psychological explanations, her encounter with Christ, her advice to skeptics and her advice to Christian apologists. Check out Holly's blog here, her podcast here, and her book Not God's Type: A Rational Academic Finds a Radical Faith . Also check out this audio which includes Holly's testimony." Common Objection #15- "If God/Jesus would only appear to me, then I would believe." Many claim that if Jesus would only appear to them or if God were to perform a miracle for them, then they would believe. I am skeptical of this claim for a few reasons. "If anyone wills to do His will, he shall know concerning the doctrine, whether it is from God or whether I speak on My own authority" (John 7:17; Emphasis mine). "A man rejects God neither because of intellectual demands nor because of the scarcity of evidence. A man rejects God because of a moral resistance that refuses to admit his need for God." It is quite simple, I believe, to sustain this. Imagine what would happen if Jesus decided to personally visit a skeptic who continually claimed, "If God would only appear to me, then I would believe." Initially, after the visit, the skeptic decides that he believes and begins to follow Jesus. However, after a week, a month, or even a year, he begins to think, "Gee...I wonder if that really happened or maybe it was a dream? Maybe it was a hallucination?" You see, the problem never was intellect; it was the fact that the skeptic never repented and admitted his need for God in the first place. Now, the skeptic finds himself right back where he started- "Okay God, if you appear to me just ONE MORE TIME, I promise to follow you for the rest of my days..." and so the endless circle continues. Before someone can truly give his or her life to Christ and follow Him, He must first recognize and admit his own depravity. For a great treatment of the question, "Why Isn't the Evidence Clearer?" by Dr. John Bloom, click here. 1. I would encourage those who are still investigating the question of biblical authenticity to visit our Old and New Testament Research Materials located here. "...he [Ehrman] is correct that some members of the Judean ruling council pointed out that Peter and John were agrammotoi or "unschooled" (Acts 4:13). How, then, could such testimony-stories that may have circulated first in coarse Aramaic- have turned into Greek documents found in the New Testament Gospels today? Were the traditional authors of the four NT gospels "illiterate" as many claim? Jones provides an in-depth look in hopes of answering that very question. "In the book that bears his name, Matthew is presented as a "publican" or "tax collector." It is doubtful that any early Christian would have fabricated this bit of vocational trivia. After all, the very idea that Jesus asked a tax collector to follow him must have been a bit embarrassing. When the Gospels were written, Roman governors expected tax collectors to stockpile personal wealth by cheating people- and most tax collectors apparently complied with this expectation. Not surprisingly, tax collectors rarely make it to the top of anyone's list of most-loved citizens. In Roman rhetoric, to refer to someone as a tax collector was to call that person's honor into question. In the writings of Josephus, the Jewish historian told how a Judean tax collector bribed the corrupt governor Florus not long before Florus incited the Jewish rebellion against Rome. And, according to the Gospels, folk in Judea and Galilee grouped tax collectors with drunkards, gluttons, pagans and adulterers (Matt. 11:19; 18:17; Luke 18:11). Simply put, answering the classified ad that read "Become a Roman tax collector! Make millions fleecing your friends!" was not the most promising pathway to personal popularity in the ancient world. But there was one skill that tax collectors did possess. They could read and write. Tax collectors were, in fact, know to carry pinakes, hinged wooden tablets with a think wax coating on each panel. Tax collectors used styluses of metal or bone to etch notes in the wax- notes that, in most cases, were later translated and rewritten on papyrus. Papyri from Egypt prove that tax collectors also wrote receipts and registers for citizens in their villages. "That leaves Mark and John. When it comes to these two witnesses, Ehrman may be correct: Though it is by no means certain, either or both of these men may have been illiterate. Yet even this doesn't preclude the possibility that eyewitness sources stand behind the NT Gospels. In the first century A.D., professional scribes were readily available to render messages from other languages, including Aramaic, into polished Greek. Complex legal titles, eloquent epistles to family members and simple commercial receipts all required secretarial skills- and provided livelihoods for a multitude of scribes not only in urban areas such as Ephesus and Rome but also in Galilee and Judea. And prosperous patrons weren't the only people that used professional scribes; persons from poorer classes employed scribes too. Even though Paul was completely capable of writing Greek (Galatians 6:11; Philemon 1:19-21), scribes penned Paul's letters for him (Romans 16:22; see also 1 Peter 5:12). It's entirely possible that Mark and John employed professional scribes to render their oral accounts of Jesus' life into the Greek documents that centuries of copyists have passed down to us. If so, they would still have been the sources of these Gospels, even if they didn't pen the actual words. So, it seems, as is often the case with Professor Ehrman, there is indeed more to the story! Ironically, even Ehrman himself admits that the New Testament is reliable! Check it out here. For those desiring to explore the authorship of the Gospels, go here or here. 1. As quoted by Timothy Luke Jones in Misquoting Truth, p. 113. 2. Timothy Luke Jones, Misquoting Truth, 113-114. Note to Readers: I recently showed this video as an introduction to some of the scholars and arguments related to the historical Jesus. The following are some notes I passed out to the class. I thought maybe they would prove helpful for someone considering the video for small group discussion, etc. What you find in Matthew, Mark, Luke and John gives us very vivid portraits of who these people were and what they were doing. 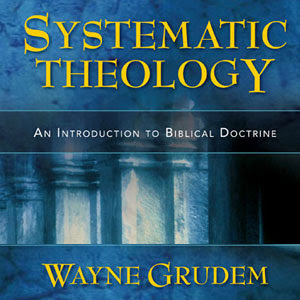 The New Testament (NT) gospels are biographies of Jesus. While the authors do not identify themselves in the text, from very early in the Christian era, the Gospels have been attributed to Matthew, a disciple, or follower, of Jesus; Mark, a colleague of Peter, also a disciple; Luke, a historian and confidante of the apostle Paul; and John, a disciple of Jesus. 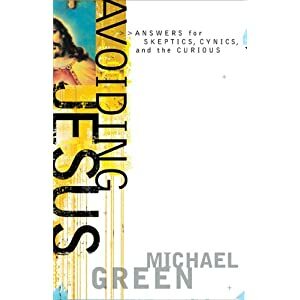 The gospels are clearly attempts to describe exactly what Jesus said and did, and the consensus of New Testament scholarship has moved in that direction. Luke was clearly a historian who had done his research. People in the first century valued eyewitness testimony. This is why from the 2nd century on, it was important to the early church fathers that the people who were alleged to have written the Gospels actually wrote them and that they were eyewitnesses of the things they wrote. We have early attestation of the authorship of the Gospels. The NT Gospels are by far our earliest and most reliable records of Jesus of Nazareth. The 1st century apostles were deeply concerned to get this information correct because they saw it as sacred holy tradition. Oral tradition is a community event. A story is passed down by individuals within that community. If they get it wrong, you’ve got an entire community that is going to correct them. So it is self-correcting all the way. Scholarly studies have been done on oral cultures and they have demonstrated that through several generations, oral tradition can be preserved and passed on without changing a thing. The vast majority of supposed contradictions in the Bible are quite easily resolved. We have thousands (approx. 5, 600) of manuscripts of the NT. We also have virtually the entire New Testament preserved in the quotations of the church fathers in the first four centuries, so that if we had no copies of the New Testament, we could reconstruct the NT from quotations from the early church fathers. We have an impressive amount of extra-biblical documentation that reports numerous details about the life of Jesus Christ. For more on non-Christian evidence for Jesus, see here. The Gnostic gospels are almost universally recognized to be much later than the NT Gospels and do not record historically reliable material related to Jesus. Jesus would clarify and, in some cases, even overrule the Old Testament (OT) law. For Jesus to say, “I am the authoritative interpreter of the law. I am the one who has come to fulfill the law” was the same as claiming the authority of God. Jesus clearly presents Himself as the self-revelation of God. Example- John 10:30. Jesus’ contemporaries, that is, people who liked Him, people who were indifferent, neutral, and people who opposed Him, all acknowledged that He did extraordinary things. The NT Gospels record at least 40 separate miracles performed by Jesus during the course of his ministry. One of the most astonishing things that Jesus ever did was when He claimed to forgive sins. In Mark’s Gospel, chapter 2, a man is brought to Him, a paralyzed man. And the crowds around him are expecting Jesus to heal him, but instead, the first thing Jesus said is, “Your sins are forgiven.” Only God forgives sins. Isaiah 53, which clearly alludes to the coming of Jesus, was written down some 8 centuries before Jesus was born. Scholars have determined that Jesus fulfilled at least 4 dozen major prophecies, each written a minimum of three centuries before His birth. There content range from specific details about His life to the symbolic implications of His death. Psalm 22- David wrote, 300 years before crucifixion was known, “they have pierced my hands and my feet” (Psalm 22:16b). Dr. Peter Stoner, a college professor of mathematics, wanted to determine what the odds were that any human being throughout history could fulfill the messianic prophecies. He and his students determined that the odds of any human being fulfilling 48 of these prophecies are virtually impossible. 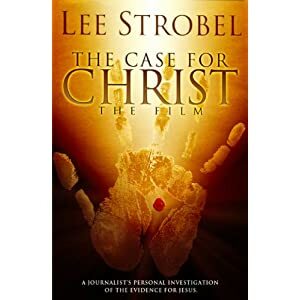 Strobel now zeroed in on the ultimate evidence for who Jesus really was- the purported resurrection of Jesus from the dead. The reference in John 19:34 of Jesus’ side being pierced confirms that Jesus was dead. Medical experts have concluded that this account from John, an eyewitness of the crucifixion, is evidence that as Jesus suffocated on the cross, Jesus’ heart had ruptured. All four Gospels tell us that Jesus was buried in the tomb of Joseph of Arimathea. That is a remarkable historical statement. Joseph of Arimathea is described as a member of the Sanhedrin, whom had condemned Jesus. Joseph’s name would have been known, as well as the burial location of Jesus. Further, it is highly unusual to find that the person who alone has the courage to go to Pilate and give Jesus an honorable burial is not members of his family, faithful disciples who followed him to the end. Instead, it is a member of the Jewish Sanhedrin, the very high court all of whom, Mark says had condemned Jesus of Nazareth to the cross. The fact that it is Joseph of Arimathea who is the person responsible for giving Jesus an honorable burial is an awkward and embarrassing fact for the early church, and yet this tradition is faithfully preserved in almost all of the traditions that we have about the burial of Jesus. The empty tomb story also has a very embarrassing feature to it that is preserved in the memory of the early church. Namely, the discovery of the empty tomb by women. To appreciate this, you must understand the status of women in Palestinian Jewish society. In that society, which was a patriarchal society, women were considered second class citizens. If one was going to invent an account about the empty tomb, they would not include women as your primary witnesses whom no one was going to believe. Jesus enemies affirmed that His tomb was indeed empty. See Matthew 28:12-13. 1 Corinthians 15:3-7- The 500 who witnessed the risen Jesus, mentioned by Paul, here were still alive. He was basically saying, “If you don’t believe me, ask them. They are still alive.” In these verses, Paul tells the church in Corinth that he “passed on what he received.” He actually uses the language of formal transferred tradition. This confirms that accounts of the resurrection where creedal tradition that were passed on to Paul. This makes it very, very early. 1 Corinthians 15:3-7 provides evidence that belief in the resurrection was already present among Jews within two to three years after Jesus was killed. That means that the resurrection stories aren’t something that evolved over 30, 40, 50 years after the crucifixion of Jesus. Even the most critical, skeptical scholars recognize that the earliest disciples at least believed that God had raised Jesus from the dead. They pinned nearly everything on it. Without belief in Jesus’ resurrection, the early Christian movement could never have come into being. The disciples were willing to die for the gospel. After Jesus’ crucifixion, the disciples lived lives of hardship for 20-40 years, suffered greatly in their ministries, and eventually suffered martyrdom and execution without recanting for their belief that they had seen Jesus raised from the dead. We must remember that the disciples died not just for something they believed was true. They died for something they actually saw with their own eyes. It’s much more difficult to explain that away than it is for someone who dies for a belief and they’re sincerely wrong. Very few people are willing to die for something that they know is a lie. James was a half-brother of Jesus and he was not a believer in Jesus during Jesus’ lifetime, but he later died the death of a martyr as a leader of the local church. In a similar way, Saul of Tarsus was a persecutor of Christians and yet, he later becomes the apostle Paul, this incredible missionary. The resurrection of Jesus best accounts for the conversion of these skeptics. The disciples went from being fearful and doubtful to boldly proclaiming the message of the risen Christ publically, even to their deaths. The most rational explanation for this is that they truly did encounter the risen Christ. Jesus made the claim that He is the truth, that everything hinges on His identity. In fact, everything hinges on the resurrection because everybody can claim to be the Son of God. If Jesus really did return from the dead, then He is who He claimed to be and that changes everything.